I've been really busy recently with a project that I'm working on, but needed a little break this week to do some art worship in my Bible. I was writing my testimony for Illustrated Faith and what Bible Journaling has done for me and this verse popped in my head. Even though I have a lot going on right now, I seem to have a peace, knowing that this is my purpose. 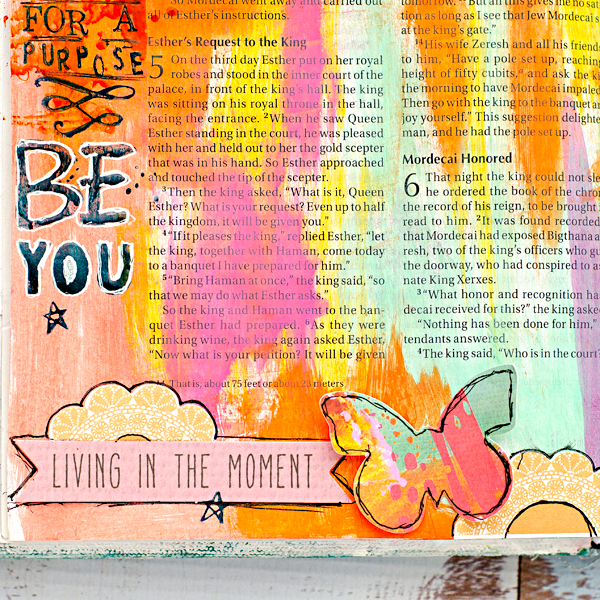 My purpose is to teach mixed media art and to share my story. 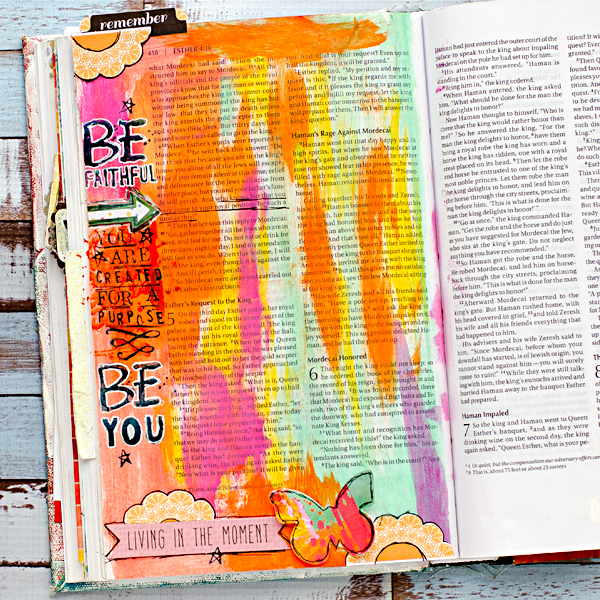 I hope you'll head over there to read my testimony and what Bible Journaling has done for me. 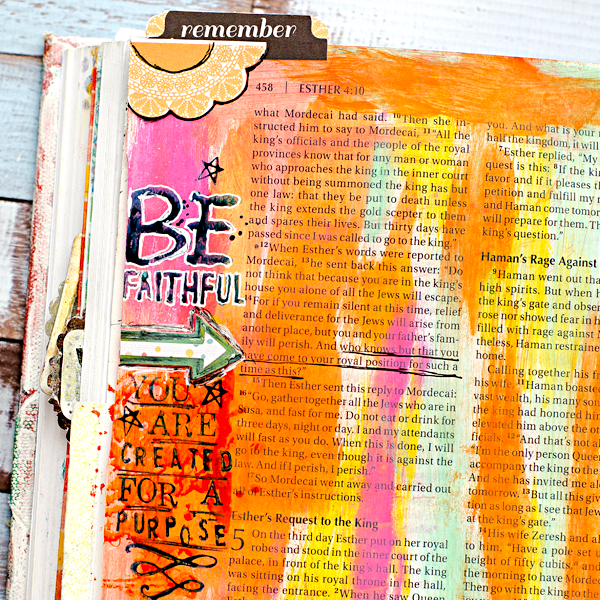 I first just took Tim Holtz Distress Paint daubers and started coloring my page. Can I just say, this was the first time I'd use them in my Bible and I'm in LOVE! I love that I can paint the whole page and still be able to read underneath. I love that it's acrylic paint so it won't reactivate if it gets wet. I love that they are daubers so I can paint exactly where I want it to paint. I then grabbed my stamps and my Faber-Castell Big Brush Markers and started stamping out what I wanted to say. I also grabbed some die-cuts and taped them onto my page. This was fun. Lastly, I took my pens and did some outlining. I just love how the outlining really makes it pop out. That butterfly totally blended in with the background before I outlined it. I just LOVE it.